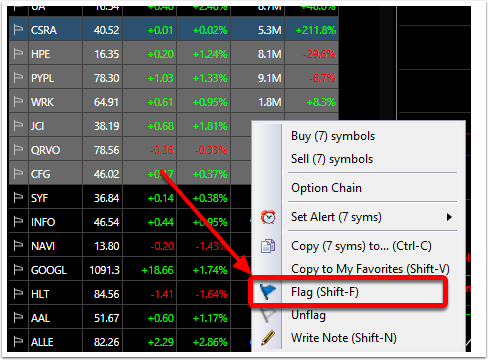 In TC2000 there are multiple ways to add a symbol to your Flagged Items watchlist. Click on one of the items below to see these steps. 1. 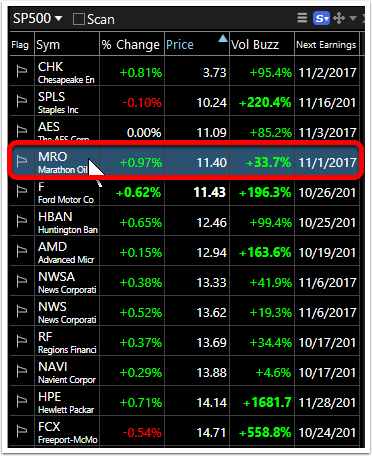 Click on the Flag icon located in the top right corner of any chart template. 2. 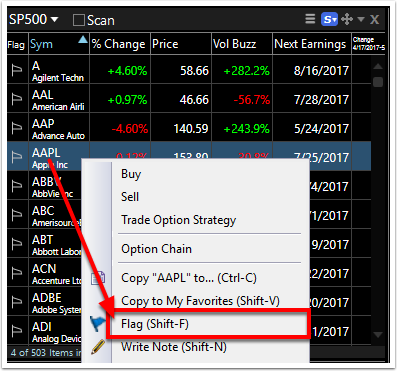 Once the Flag is selected the item will appear in your Flagged Items list. De-selecting the Flag icon will remove it from your list. 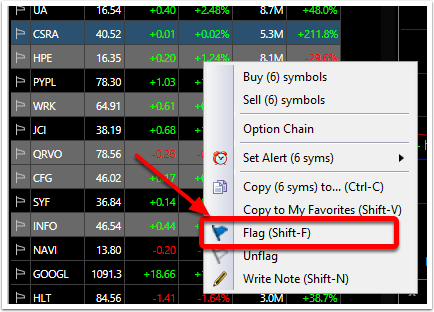 You can also add items to your Flagged Items list by pressing the hot key combination "Shift F". 1. 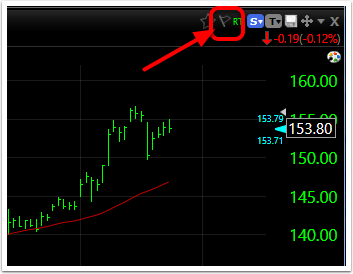 Right-click on the symbol you would like to add to the Flagged Items Watchlist. You can also use the hot key combination "Shift F" if the desired symbol is already highlighted. 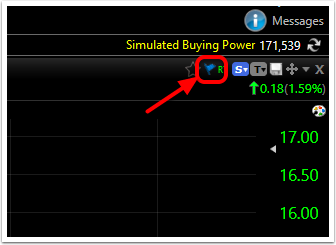 Alternately, simply click the Flag next to the symbol in the WatchList. 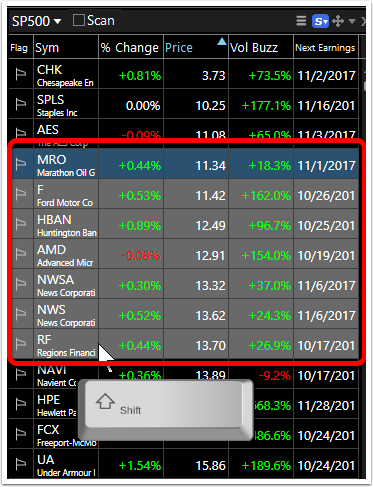 Right-click in the shaded area of the WatchList to open the drop down menu. Select Flag. You can also use the hot key combination "Shift F" when the multiple symbols are highlighted. 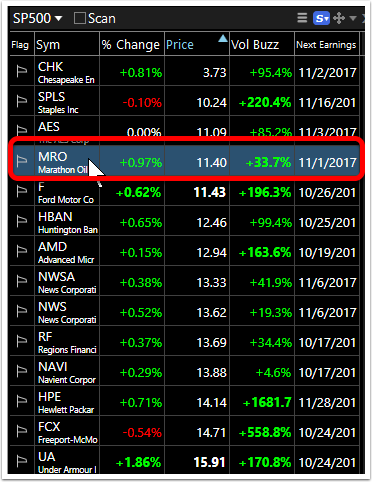 Right-click in any of the shaded areas of the WatchList to open the drop down menu. Select Flag. 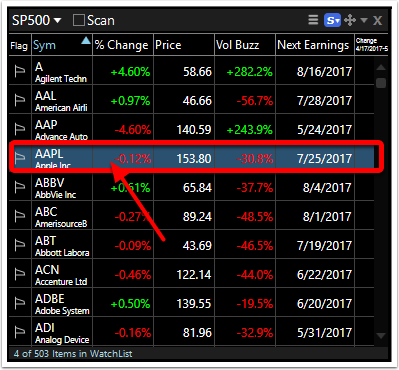 Click the WatchList picker to open the drop down menu. 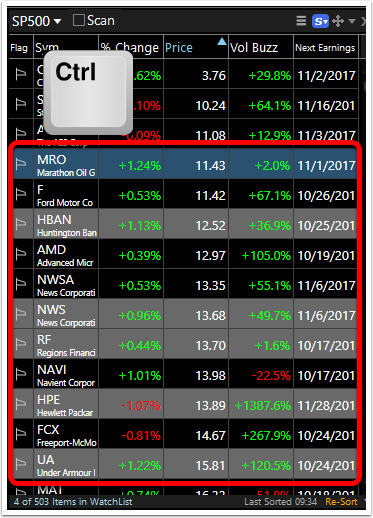 Select Flagged Items from the Quick Lists section to make it the active WatchList in the current layout. Click the WatchList icon in the ribbon menu to open the drop down menu. Select Flagged Items from the Quick Lists section to open the Flagged Items WatchList as a new window in the current layout.